Sometimes nicknamed “The Gateway to the Channel Islands,” Oxnard CA is an affluent community located in Ventura County. Because it is in the floodplain of the Santa Clara River, Oxnard CA was very attractive to farmers during the early days of settlement. The rich soil supported lots of lima bean and strawberry farms. Oxnard CA is still the state’s largest strawberry producer, and if you eat a strawberry grown in California there is a 1 in 3 chance it was grown in Oxnard. Needless to say strawberries are popular here. Every year Oxnard CA hosts the California Strawberry Festival to further honor their famous local crop. If you own or operate a restaurant in Oxnard CA, you may or may not have any strawberries on the menu. But what you certainly will have is a kitchen air control system. 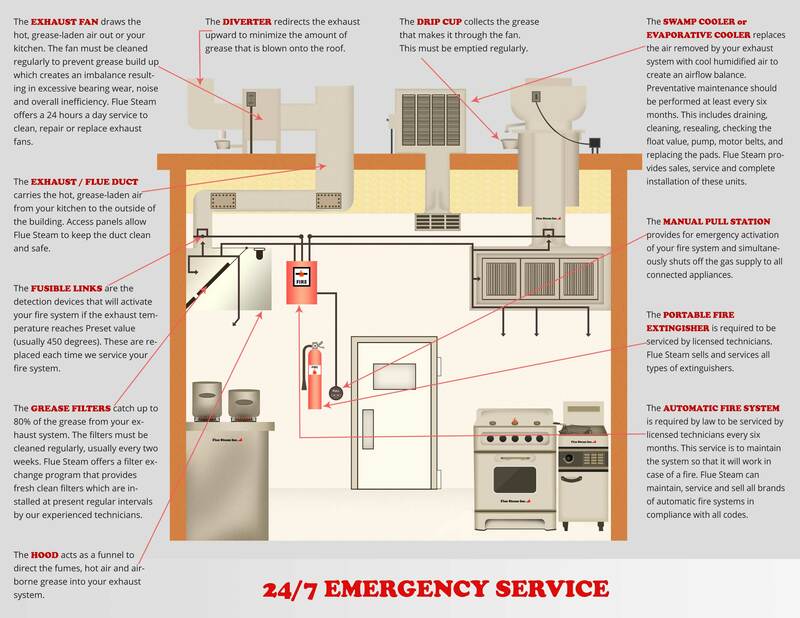 You can trust Flue Steam to help you maintain this system, keeping it clear of grease buildup and in compliance with local fire codes.